Wat Gate Khar Rham Temple is next door; Wat Gate area was the residential area for foreigners and is now the arty quarter of the city and walking distance to the Old Town and Night Bazaar. There are local restaurants within a few minutes’ walk including some along the River Ping. Transfer time from the airport is approximately 15 minutes. 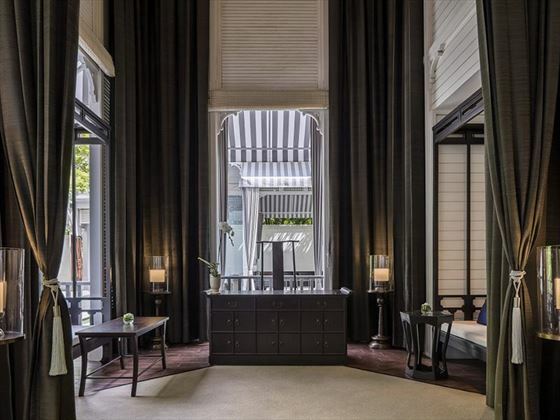 Just 30 suites, each elegantly individual, all share a design perfect for honeymooners and romantics with four posters or super-king beds, indoor and outdoor showers and oversized daybeds on the terrace. Rajah Brooke Suites - make up the majority of the property (20 suites) and are spacious with a choice of twin or king beds, sleeping 2 adults. Beautiful interior touches include a stand-alone vintage style bath-tub and a balcony with day bed. 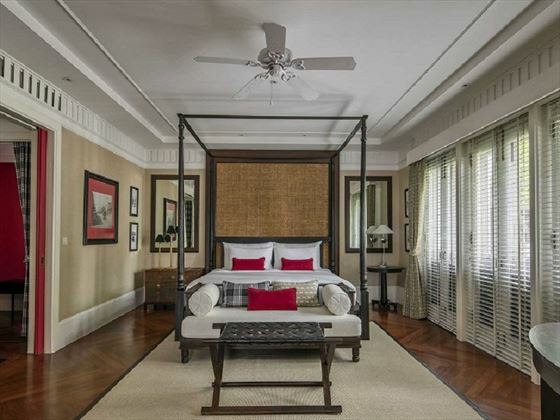 East Borneo Suites – these 6 suites have large tiled terraces overlooking the gardens and walk-in wardrobes. 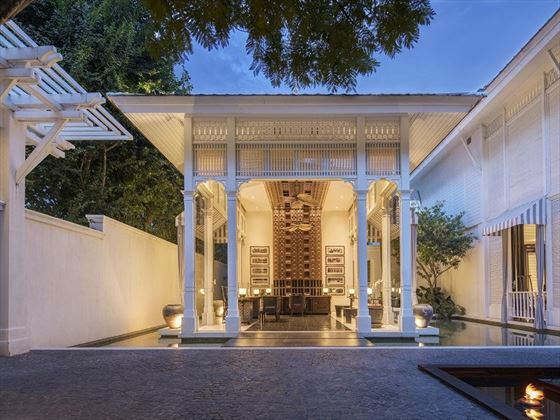 William Bain Terrace Suites –these 2 suites are larger with living areas and on the upper floor with a large terrace with a view of the heritage old Baan House. Louis Leonowens Pool Suites – these 2 expansive ground floor suites have private plunge pools and butler service. 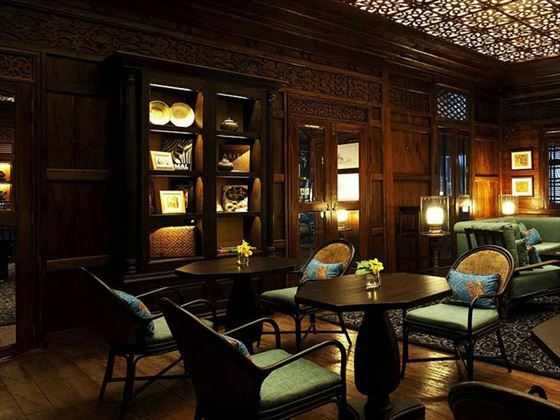 Palette is fine dining is a stunning Thai setting, open for dinner. 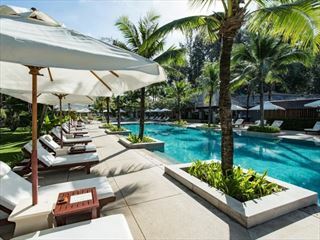 The Dining Room – open all day including the harvest breakfast, serves local Lanna cusine and Thai specialities – you can dine indoors or al fresco. Jack Bain’s Bar – in the Old House, a curated cocktail list and bar snacks. A gorgeous on-site spa offers a full range of treatments and therapies and when dining in, there are menu options built for wellness. 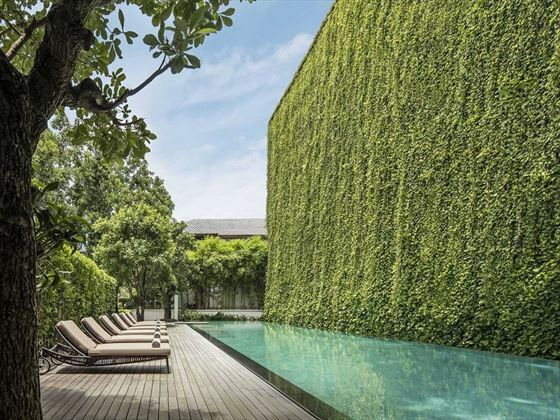 A welcoming 25m long lap pool has a funky wall of living green and space to relax on a lounger. 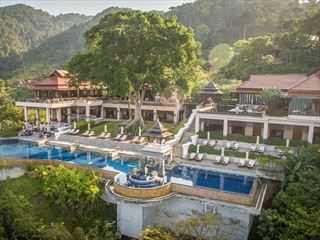 Nestled on 100 acres of lush tropical forest with direct access to 900 metres of pristine sandy beach. 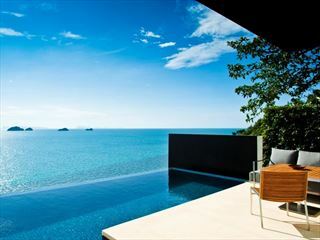 A secluded, peaceful and romantic hideaway certainly worth travelling around the world for!